There are certain types of orthodontic problems that are caused by the lack of enough bone growth across the upper jaw. 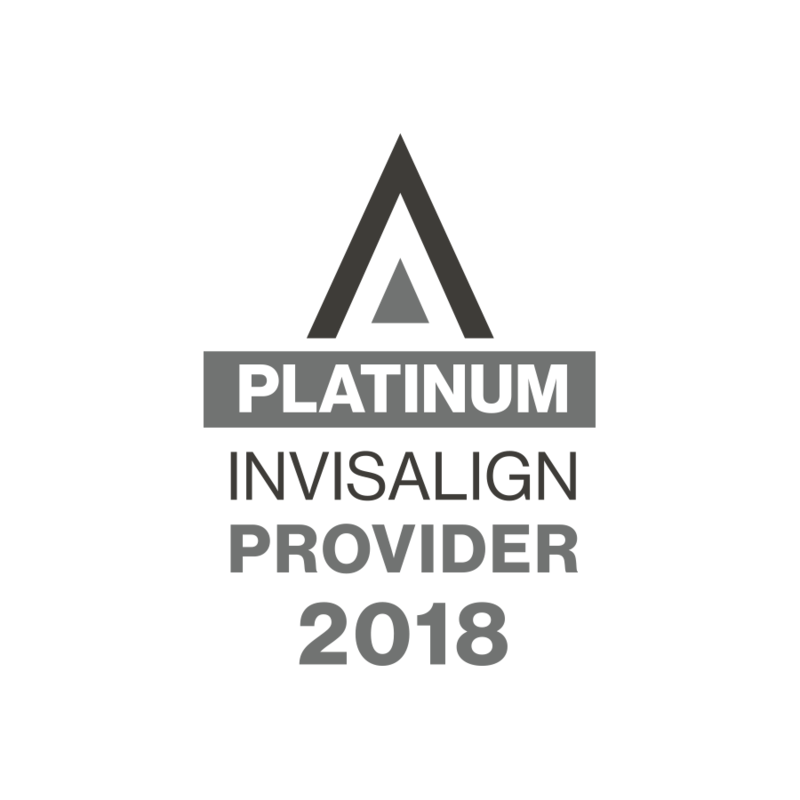 A narrow or high-arched palate may benefit from widening with a Rapid Palatal Expander. The change is rapid and it won't hurt. 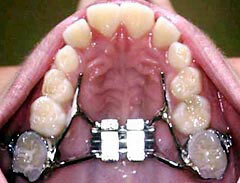 Your mouth may be tender for the first few days after receiving your palatal expander. This is normal and should disappear within a week. Rinsing with warm salt water will help take away the tenderness. Pain relievers may be given as needed. Activation is done with the key provided. Insert the key into the hole and push to the back of the mouth. You will see the next hole when the turn is complete. Turn with the key as many days as instructed and return to the office at the end of turning for a check-up. If you miss a day of turns, do not add those turns to the next day, but add another day of turns. If you "cannot find the hole”, you are in between turns. You must now find the hole towards the back of the appliance and complete the entire turn to find the hole again. Now you will be able to turn correctly. If you cannot do this, call our office and we will be happy to help you with the turns. 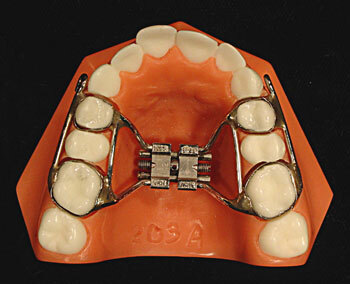 Once the activation is complete, the expander must remain in place for at least 6 months before it can be removed. A space will open between the two front teeth. It is desirable because it means the expander is working properly. This space may be small, or may be as large as another tooth. The space is only temporary and will close before the end of treatment. Reading out loud will help you get used to your new appliance. Speech will return to normal within a week to ten days. Words to practice are “CHURCH”, “MISSISSIPPI”, and “SIXTY-SIX”. Do not play with the appliance with your fingers or tongue. This can cause breakage. If a band comes loose or a wire gets bent, please call our office. For the first few days, soft foods will be best to eat. Food should be cut into small pieces. Gummy, Sticky, and Chewy foods are OFF LIMITS. These foods can loosen the bands.